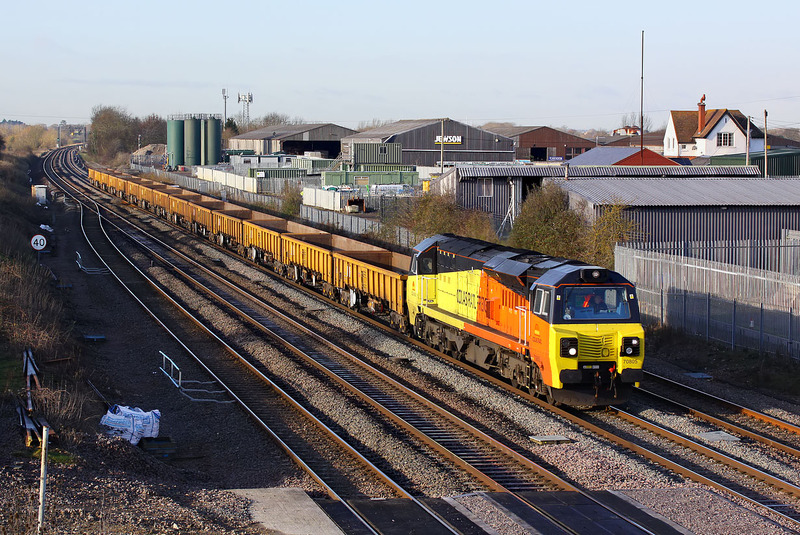 70805 passes the site of Challow station on 8 December 2014 with the late running 6M50 07:55 Westbury to Bescot engineers train. Yet another signalling problem in the London area was causing many First Great Western trains to be cancelled, including the 1A11 09:30 Bristol Temple Meads to Paddington, which should have been passing at this very moment. Therefore this train was routed along the mainline, rather than its usual route along the up relief, as pictured exactly eight months earlier, again headed by 70805, although on that occasion partnered by 70803.